Students will learn how to cut, stamp, and dye vegetable tanned leather. Over the course of this 3-hour class, they will learn all the basics steps of how to use this material. 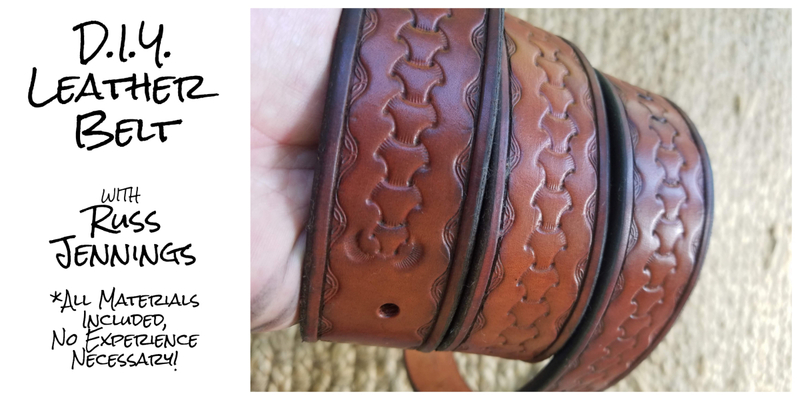 This traditional tanning process allows the leather to be cut and stamped with artistic patterns. The use of swivel knives, stamps, and patterns will be taught. Students will have scraps to practice on, and each student will be provided with a belt blank and buckle, as well as a variety of dyes to choose from. All materials and tools provided, no previous experience necessary.